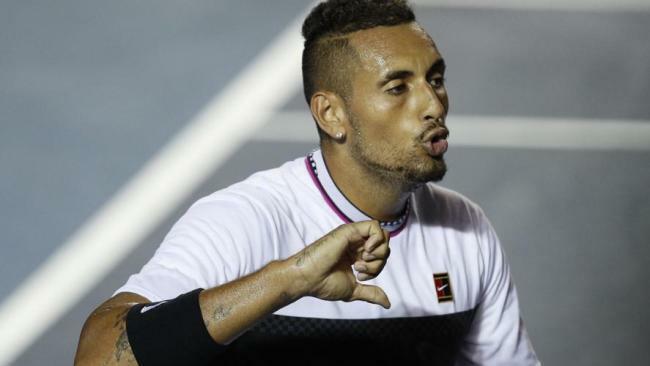 Nick Kyrgios is through to the final of the Mexico Open. NICK Kyrgios is on quite a run in Mexico where he's beaten Andreas Seppi, Rafael Nadal, Stan Wawrinka and John Isner to reach the final where he plays Alexander Zverev. Can the Aussie claim his first title of the year? It's also been something of a controversial week for Kyrgios who has been booed and jeered by the crowd on multiple occasions, been handed code violations for obscenities yelled back at them and courted accusations of being disrespectful by Nadal. Nonetheless, he is in the final. Kyrgios and Zverev have shared the spoils of their previous six matches with three victories each, but Zverev won their previous two meet-ups. "I was just trying to take care of my serve, that's really all you can do against John," said Kyrgios, who had the edge on Isner in aces with 25 to the big-serving American's 24. The unpredictable Australian, who seemed rattled at times by hostile fans in his victories over Nadal and Wawrinka, played happily to the crowd on Friday. "It's insane," he said. "One point they were cheering my name, another point they were booing me. It's just entertainment." 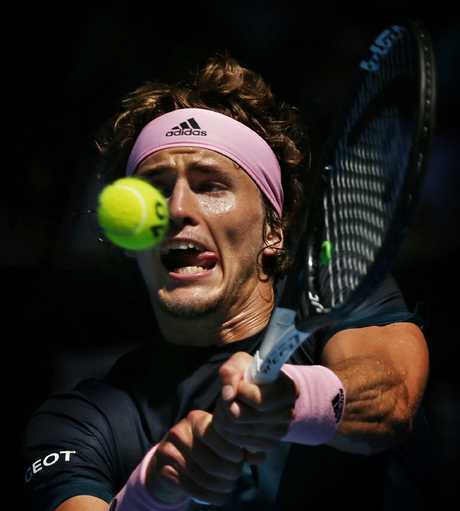 Second-seeded Zverev has claimed 10 ATP Tour titles since his maiden win in 2016, winning five times in 2017 and four last year. "It was pretty windy out here, not easy conditions, and his game actually I think fits the wind quite well, so it was not easy," Zverev said after his win. "At this stage, you've got to win matches, no matter how."